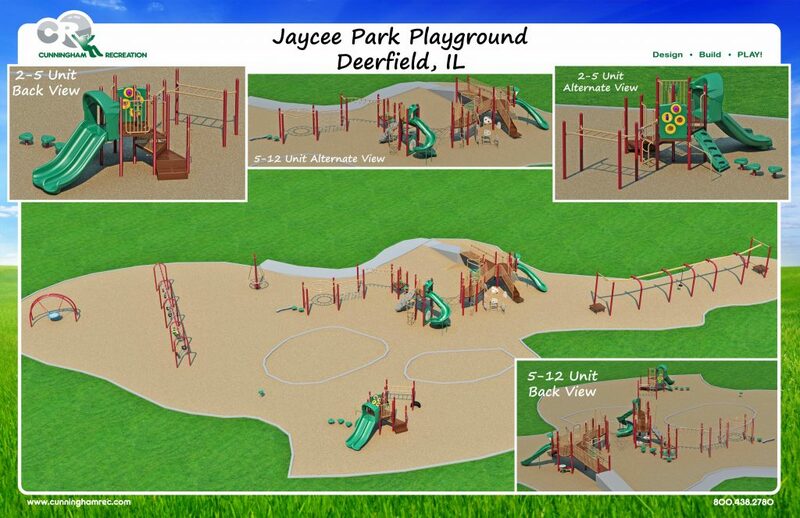 The Jaycee Dog Park and Playground Renovation Project has begun and is expected to be completed by mid-summer. We have received a generous 50/50 matching grant through IPRA and Play Core to purchase playground equipment for the project. 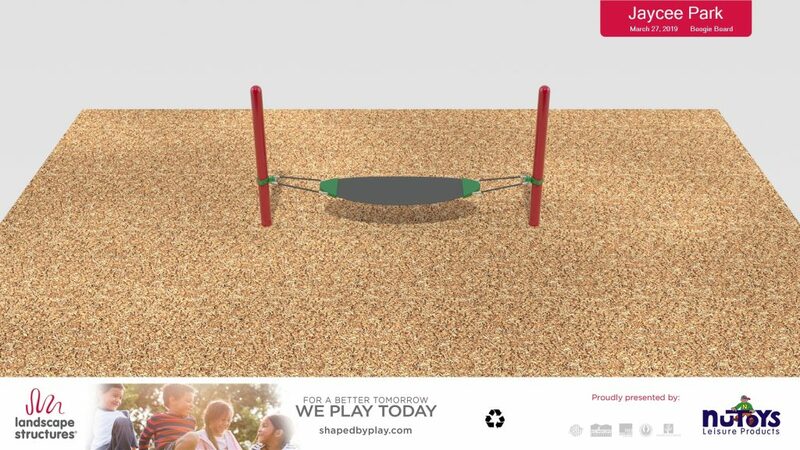 The equipment consists of a structure for kids ages 2-5, a structure for kids ages 5-12 and independent equipment including a 65’ Zip Krooze, Topsy Turny Spinner, 4’ Embankment Slide, Boogie Board, Saucer Swing, Interactive Swing and age appropriate swings. Amenities included in the new dog park design include: Expanded area with new fencing, lighting, drinking fountains and dog washing area, refurbished shelter, perimeter walking path, improved drainage, park benches and dog agility equipment. 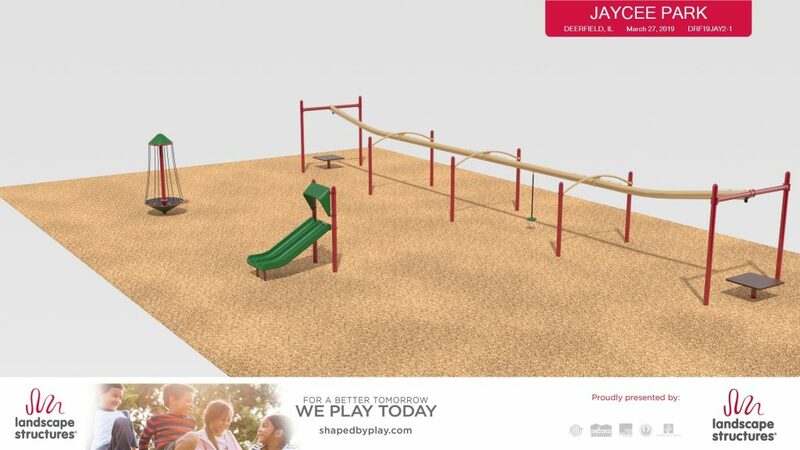 Thank you for your patience as we upgrade the park and playground amenities.